﻿ The owner of the Grand Prix, the first prize and the gold medal of the XIV International Tchaikovsky Competition received Grammy. 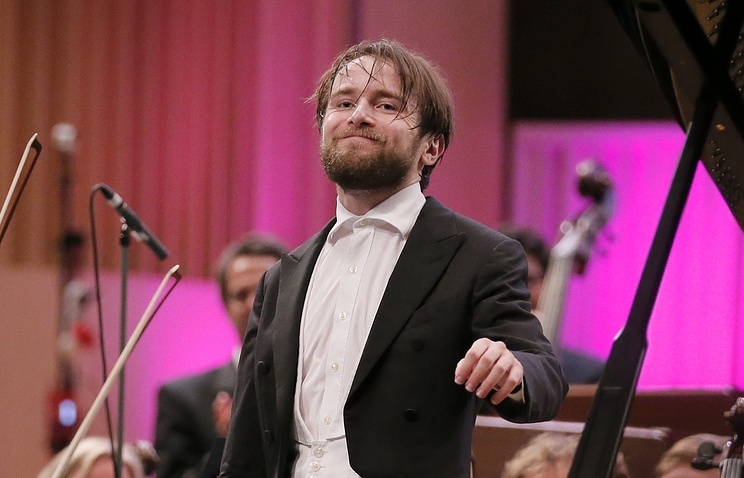 Russian pianist Daniil Trifonov received Grammy for instrumental performance. The 26-year-old musician was nominated in the category "Best Classical Instrumental Solo Performance" for the cycle "Transcendental Etudes" by Franz Liszt, recorded and published as an album. In 2011, Trifonov won three prestigious piano competitions: named after Chopin in Warsaw, named after Arthur Rubinstein in Tel Aviv and the Tchaikovsky Competition in Moscow, where he received the Grand Prix, the First Prize and the Gold Medal. For the victory in this category fought: American pianist and conductor Murray Peraia; British cellist Stephen Isserlis; violinist and conductor of the Deutsche Kammerphilharmonie Bremen - Florian Donderer; the Swedish pianist Maria Lettberg and the conductor of the Berlin Philharmonic Orchestra - Arian Motiak. The German violinist Frank Peter Zimmermann and the American violinist, conductor of the NDR Elbphilharmonic Orchestra Alan Gilbert gave in to the winner.